RIP, originally uploaded by boomer3297. 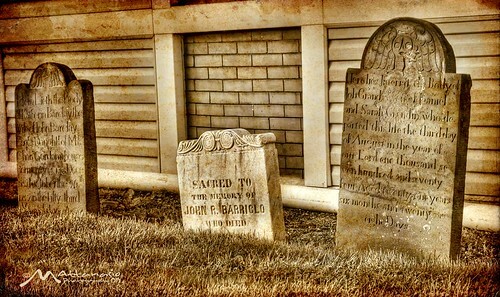 In the center of Freehold Boro is a cemetery with 12-15 headstones, the dates on these headstones range from 1743 to 1775. The parish associated with this cemetery was built in 1701 and is still standing. A good amount of history in this little town.